Werder Bremen, on the other hand, Bremen plays in the German Bundesliga and finished 13th on the table. Both the teams have been playing friendlies to get ready for the upcoming season, and this helps the manager to get his best XI for the new season. 7th August 2016 at 18:30 (IST). Chelsea has been playing in the International Champions Cup which is a friendly tournament held in different parts of the world. There are three groups in the competition. Group 1, 2, and 3 that include different teams from different leagues. Chelsea is in group 1 which includes many teams like Paris SG, Barcelona, Real Madrid, Bayern Munich and Liverpool. Two other groups are also there which include teams like Juventus, Atletico Madrid, Tottenham, Manchester United, etc. Chelsea is fourth on the table with six points from three games from two wins and one loss. They won against Liverpool by 1-0 and against AC Milan by 1-3 and lost to Real Madrid by 3-2. They played their last game against AC Milan and won it by 1-3. Traore scored the opening goal in the 24th minute as he scored on a header into the bottom right corner. Milan equalized in the 38th minute as Bonaventura from a free kick into the bottom left corner. Werder Bremen plays in the Bundesliga, but they ended 13th in the League. They finished with 38 points from 34 games as they won 10 games, drew eight and lost 16, scoring 50 goals and conceded 65. C Pizarro was their top scorer with 14 goals and A Utah scored 11 goals. Junozovic was their top assister with 10 assists to his name. They have bought Lamine Sane from Bordeaux on a free transfer and Alejandro Galvez have been sold to Eibar. Being friendly, it doesn’t matter who wins or lose. 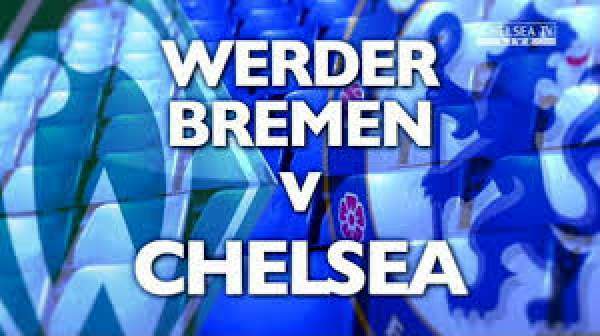 You can watch it live on Chelsea TV (UK) and CBS Sports Digital (USA). Come back for the match result, full video highlights, scorecard, and much more. Don’t forget to share it on social media sites. Stay tuned to The Reporter Times for latest Football news and other sports updates across the globe.